How do you like this birthday card? My sister loves purple! So when I borrowed an Elegant Eggplant ink pad at our training the other week and used it to stamp En Francais onto Whisper White paper – I knew where my sister’s birthday card had begun! Do you have any upcoming birthdays? If the answer is yes! 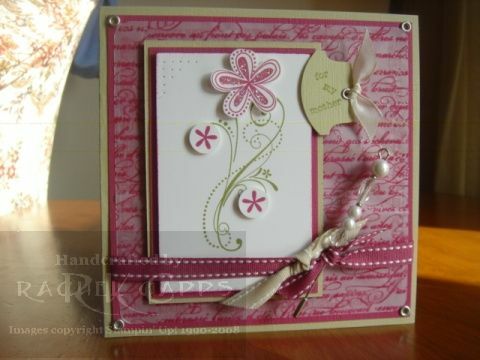 Then why not come along to my FREE stamp and scrap night this Friday. 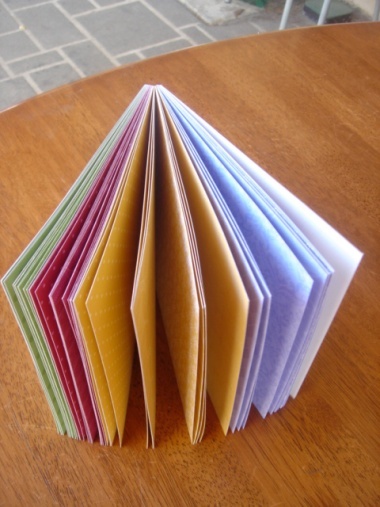 You can prepare a few birthday cards for the months ahead! Perhaps you have a birthday you want to scrap! 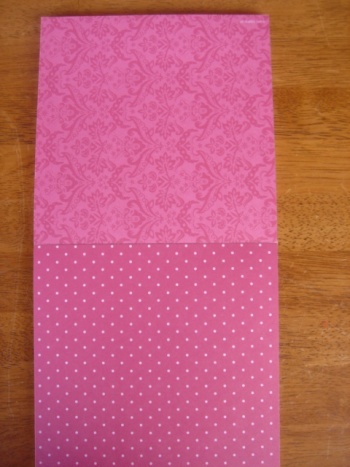 All you have to do is bring along your own projects including paper and embellishments. That’s it! You are welcome to use my stamp sets, ink pads and punches to help you along. I’ll supply coffee, tea and lollies. The night is simply an excuse to get together and create together. Let me know asap if you can come along to Parklea on Friday night. It will be fun! Bookings are essential. Wow! I have just completed my first ever Kristina Werner colour challenge! 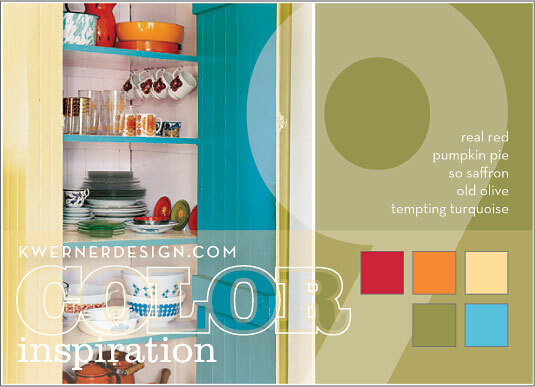 Every week Kristina puts up a colour challenge and this week’s challenge was based upon the picture above. I love Kristina’s blog, she does the best videos! You really must visit Kristina here. 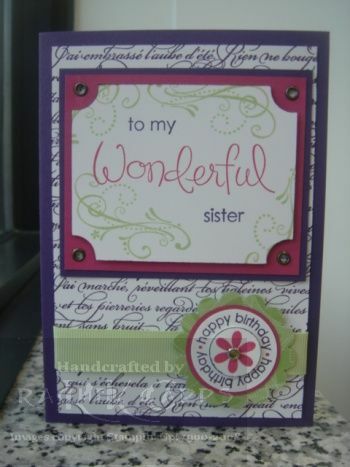 This is the card I came up with … and it was a challenge! Although it was great to have a driving challenge behind a birthday card for a special friend living in London … now I have to get this card in the mail! This is a close up of my Boho Backgrounds stamp … it is layered with dimensionals and looks lovely with the square red rhinestone centre. I really love the colour combo I’ve used on this part of my card – real red, pumpkin pie and old olive – they look great together, don’t you think? I also used our our So Saffron DSP that you can only purchase until 31 May 2008 (in Australia, from me in Parklea!) 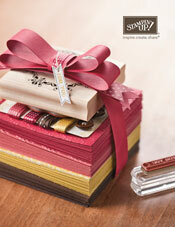 with Stampin’ Up!’s Palette o’ Prints promotion. I love the spots! This is the one time only you can purchase a 6″x6″ double-sided Prints Designer Series paper. Why would you do that? 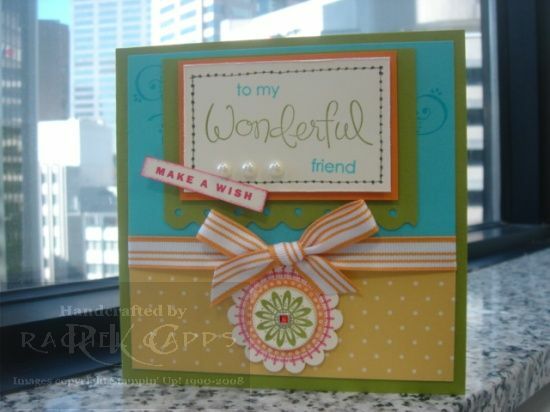 Come back and check out my blog in a few days and I’ll post a card to show you how great and easy it can be to make a card using Designer Series Paper (especially the Print DSP!!). How do you purchase a pad? Well, you must spend $35 on any Stampin’ Up! products. 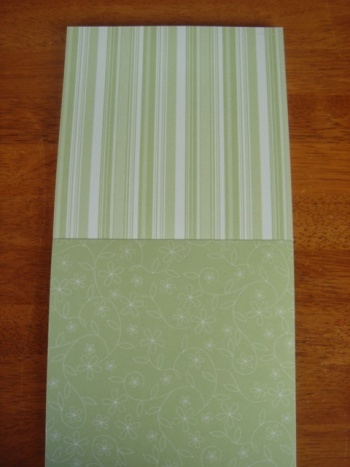 Then you can purchase this versatile sampler’s pad of paper for only $12.95. Remember that for every $35 you spend, you can purchase one additional pad. If you haven’t yet had the chance to try Designer Series Prints paper on your projects, this is the perfect opportunity for you to have a firsthand taste of a variety of designs and colours. Contact me to place your order today. I may be in Parklea, but I can send an order anywhere in Australia! Happy Mother’s Day – take two! I have one more Mother’s Day card … the card I made for my mother-in-law 🙂 I loved putting the hat pin on this card as I knew my mother-in-law would like it! I had more fun embossing with versamark and Purely Pomegranate and clear embossing powder on vellum, too! I am loving my En Francais background stamp … and my Priceless stamp set too! I really like the colour combo of River Rock and Purely Pomegranate, with a dash of Old Olive (particularly, with the textured cardstock – yum!). Good fun! Happy Mother’s Day for Sunday. I hope all the lovely mums out there enjoy their day and are spoilt well! At my technique class the other night for Mother’s Day I had a few sample cards that my ladies could choose from. So, no one walked away with the same card that night. There were quite a few different cards! But, importantly, everyone had a turn at embossing and using my new crop-a-dile. 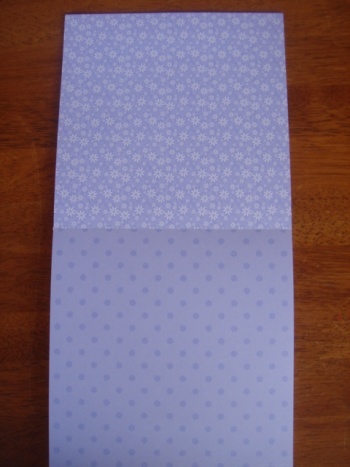 We embossed the background paper, the En Francais back stamp, and we embossed on vellum paper the flowers using Petal Prints. And we had eyelets to set everywhere! The main word definition was stamped over the flowers from Boho Backgrounds (stamped off). Gosh, I love Boho Backgrounds!! Subscribe to my blog and newsletter today so you know when my next technique class is on. Then you too can learn a new technique because you will know when it is on! I had a baby shower on the weekend for a very special family member from my husband’s side of the family. We are all very excited that Alison is pregnant (it has been a tough road) and we know she is also having a boy who is due in August. This is the card I made for her Baby Shower … it only took about 15 minutes to put together and I was really happy with it. I found inspiration for the card from SCS here. 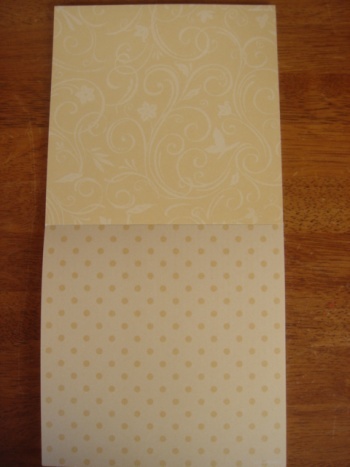 I had the pleasure of using my textured card stock again which is just gorgeous and looks fabulous! Plus, I played with my new Crop-a-dile again and the scallop circle punch. I used Fun & Fast Notes for the pram and So Many Sayings for the words (with my Bashful Blue marker pen – stamp to rubber). Of course, although the lighting is bad in the photo, you can’t really see the Dazzling Diamonds I have used. The wide grosgrain ribbon really finishes the card off. What do you think? If you like the effect of the three Barely Banana brads you really should order a Crop-a-dile. It makes adding an attractive embellishment easy and silent to do 🙂 Email me today! My youngest bub turns 1 in a couple of weeks and so I have been busy making the invitations for his first birthday party. Thankfully, they have all been posted now! I knew for his card I wanted to use the Party Time stamp from the Level 1 Hostess stamp set, Party Punch. I’ve drawn on the party time start with my Certainly Celery marker pen as I used the Certainly Celery brad for the centre of the clock. How do you like it? 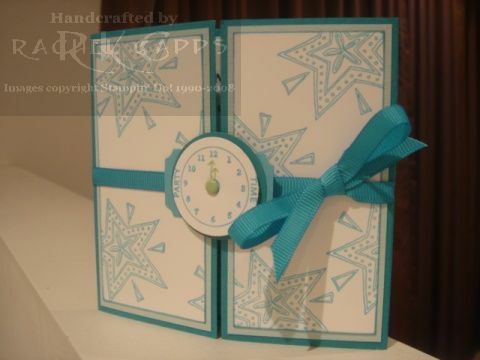 I love the stars from Fun and Fast Notes, so I stamped the star randomly on the Whisper White cardstock on the front. 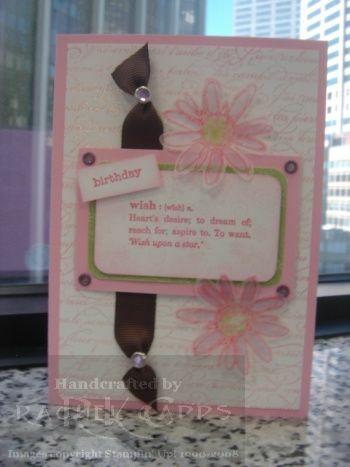 I bordered it with my new Soft Sky textured cardstock (which I adore!) and tied it all up with Tempting Turquoise grosgrain ribbon. 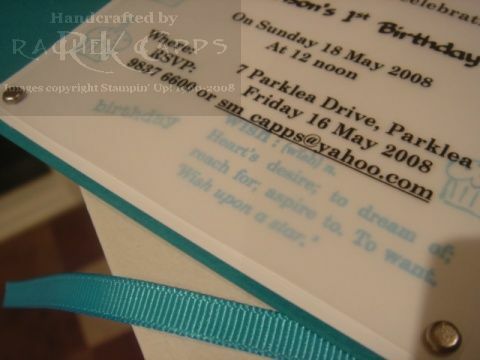 I also wanted to use some vellum and so decided to print the details of my invite but stamp on my Whisper White cardstock underneath the vellum (sorry, this photo is a bit blurry). I loved using my Life Definitions stamp set too … and put my Everyday Flexible Phrases “birthday” before “wish: Heart’s desire; to dream of; reach for, aspire to; To want; ‘Wish upon a star’. Isn’t that lovely? The silver brads just finish off the centre with a few birthday cupcakes from All Year Fun. Do you like a particular stamp? If you do, you should contact me and order it today!